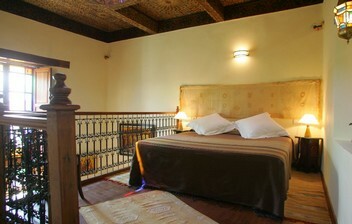 Located on the first floor, the Attarine room has a mezzanine with a richly decorated ceiling and a queen size bed, a bathroom with a shower and a toilet. 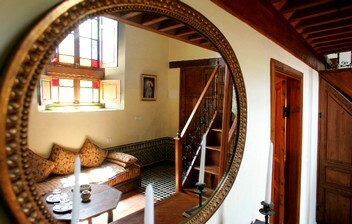 A large window opens on the garden and the medina. This room is not suitable for elderly people. 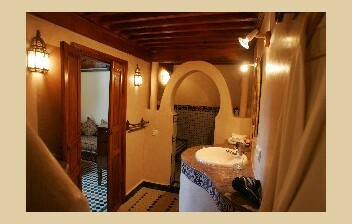 Room with air conditionning (hot and cold) and safe.